Heeft u een vraag voor Beat Hotel Bangkok? Gelegen in Sukhumvit, maakt Beat Hotel Bangkok de perfecte keuze voor reizigers die Bangkok en omgeving willen bekijken. Gelegen op 7.9 km van het hart van de stad, bevindt deze 3-sterren accommodatie zich op een excellente locatie, met de grootste attracties binnen handbereik. Dankzij de praktische ligging, biedt de accommodatie eenvoudig toegang tot alle belangrijke trekpleisters van de stad. 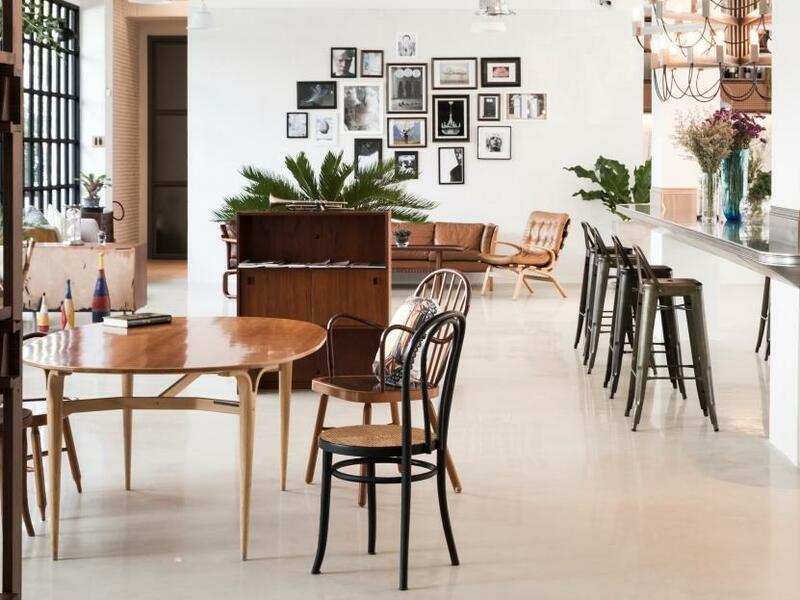 Beat Hotel Bangkok biedt vele voorzieningen om uw verblijf in Bangkok zo aangenaam mogelijk te maken. 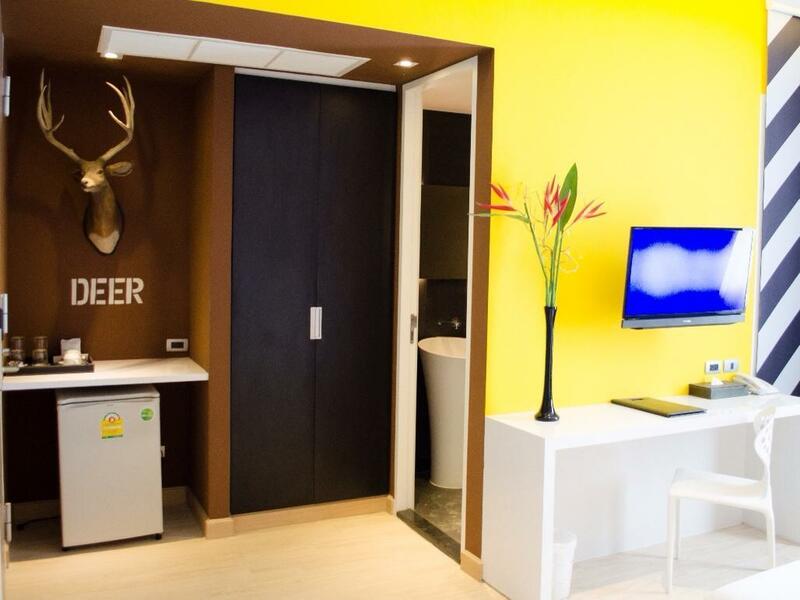 Voorzieningen zoals 24-uur roomservice, gratis wi-fi in alle kamers, dagelijkse schoonmaak, 24-uur receptie, wi-fi in openbare ruimtes zijn direct beschikbaar voor het gemak van iedere gast. Ervaar kamerfaciliteiten van hoge kwaliteit, inclusief plasma tv, draadloos internet (gratis), rookvrije kamers, airconditioning, bureau, om na een lange dag tot rust te komen. De accommodatie biedt talrijke recreatieve mogelijkheden, zodat u voldoende te doen heeft tijdens uw verblijf . Als u op zoek bent naar een accommodatie die comfort en gemak in Bangkok biedt, dan is Beat Hotel Bangkok uw thuis ver weg van huis. Een toeslag in contant geld van 1000 THB dient betaald te worden bij het inchecken als borgsom voor kosten of beschadigingen. Het bedrag wordt terugbetaald bij vertrek. Leuke, fleurige kamer met prima bedden. Miste een lampje/lichtknopje bij het bed. Schoonmaak was iets te slordig, het had wat schoner gemogen, maar het was niet zo vies dat ik er weg wilde. Ondanks dat het hotel midden in het W district is, geen last van geluid. Verder leuke foodmarkt naast de deur en een leuke omgeving. Ook vlakbij de BTS. Aangenaam verrast waren we door dit hotel. Ruime, lichte kamer hadden we met een nette en moderne badkamer. Alles functioneerde goed. Prima ontbijt. Prachtig zwembad met een adembenemend uitzicht over de stad, weliswaar in een ander gebouw, maar dat vonden we geen probleem. Locatie dichtbij een BTS. Helaas nog weinig restaurants in de omgeving en winkels. Alles lijkt nog nieuw in deze wijk. Is waarschijnlijk nog groeiend en in ontwikkeling. Geweldige dagen gehad. Leuke Art. Bijzondere stukje in Bangkok. Vooral het pleintje naast het hotel met leuke eettentjes van verschillende nationaliteiten. Leuke opzet. Locatie heel erg goed. Topkamer en badkamer. Uitzonderlijk slechte wifi. Zwembad en fitness in ander gebouw en geen zon aan zwembad door schaduw gebouwen. My husband first time staying in this area , he didn't expect it is so convenience and a lot of food around, hotel service is good staff are so friendly room is big and clean good is next to the BTS station. He said that very satisfied and will introduce to friend. Look for an other Hotel. When you check in they show you one bottle of water and teach you only 2 bottle are free every day ! Then with the bag of toiletries you get a warning not to take them out. There was a one way shaver in the bag, but no shaving cream. The walls to the bathroom are already pealing of. The bidet shower didn't work. ( got stack). You cannot turn the water off. The rain shower is more a show, because the water pressure is not there. Then I asked for a adapter for my Hp and Notebook. No stock. I shall by it in a store. The bed was fine and big. I tried to find the switch for the light. No switch there. Same for aircon. You have to stand up and switch the light off by the room entry. ( dark then) The TV always turn on and off. I called the reception and they told me in the morning at 9 am they will send there person in charge. I forgot to asked on what day, because nobody showed up. I missed a second side table. Laundry takes 2 days. 3% credit card fee. This is very near to BTS trains station Phra Khanong and though very calm envionment compared with other hotels in same area. There is a night food market with many stalles next to hotel. In bathroom they sould done some regular maintennace. Dont expect a nice window view its just a car park , but Inside room experiance is extraodinary which you can not experince in any other place. It was a pleasant and nice stay at the accommodation. But due to high demand the hotel is fully booked and we are not aware on this. Initially the hotel staff kind enough to gave us a free upgrade to the bigger room on level 2 but the design of the room was uncomfortable for us. So we tried to change to another room but the counter staff told us in future if you have any particular design in mind you need to indicate at the remarks. End up the counter staff kind enough to make changes for us on level 4 which the room is the usual size and design is more comfortable. I am quite shocked to know that only the check in lobby have air con and the rooms level do not have. Swimming pool you need to walk to the next building. Overall it was still a pleasant stay. And walking distance to BTS station. Location is away from the usual tourist spots. There's W market nearby but we didn't go at all. Hotel is able to call cab for you so don't go to the roadside and try to hail one yourself as some drivers will not go by meter. If you want massage, do not go to the ones that are beside the W food market (beside hotel) - they are overpriced and terrible! Go behind the hotel and behind W market - there are some massage shops along that row which are only 200baht for a foot massage. Hotel lobby and cafe is really nice but I can't say the same for the bedroom. It was very very basic - but good enough considering the price I guess. Cant complain. Overall, this is a good budget hotel. I stayed at the Ramana Hotel in District 3 to be close to my family in Saigon. I enjoyed it so much that I booked my family in too so that we could all enjoy the pool up on the 5th floor. Breakfast is a buffet affair and there’s a wide range to suit every traveler. My Aunt is vegan and she was happy with the breakfast. Rooms are spacious & clean, if a little dated BUT for the money you won’t find much better. We could not fault it. Good location next to W District and Phrakanong BTS station. My room faced the road on level 2, but it was very quiet. Could hardly hear any traffic. The room is artistically designed with art painting on the wall. Lots of food at W District but the hotel is located far from the tourist areas but a BTS ride will get you there in no time. 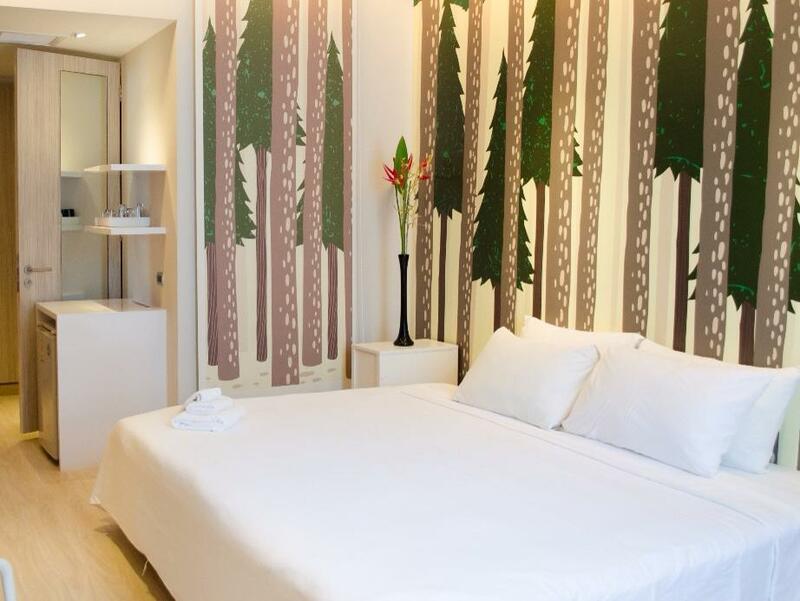 Staff is friendly, a really short walking distance to BTS, stylish hotel and comfortable room and bed. The W market fully with delicious food stall just in front of the hotel, you may chatting with friend and drink until midnight. The massage also there, price cheap 250bath 1 hour , 7-11, Bar all at door step. Unfortunately the night market is temporary closed because the upgrading building area. Highly recommend ! For my opinion, I guess I found the right place to stay during my time in Bangkok. Work or Travel it worth it. Friendly and helpful staff during my arrival and checked in. Environment feel like we are in an art gallery. Totally recommend for you to spend the rest of your Bangkok Trip here. This was my 4th visit at Beat Hotel Bangkok, same as previous visits I had a pleasant stay. Its location is perfect, situated right at the front of W District giving you opportunity to have a number of options for dinner and leisure; 4min away from the hotel is BTS station phra khanong which can lead you to most of Bangkoks attractions and destinations. The bathroom is always cleaned and its facilities kept up to date. Rooms are daily cleaned and left with respect to personal belongings, refilled with 2 water bottles every day. Check in and out is easy and quick, you will be asked to leave a thousand baht deposit when you arrive but this will be returned if you leave room with no damage on it afterwards. 4.3/5 for me looking forward to next stay! I booked a king-sized bed for my brother, and noticed that it was two beds pushed together. But my brother didn't complain about the crack in the middle, so it wasn't a problem. He did mention there was some outdoor noise. As far as we could tell, cars can't drive directly to the hotel's door. Our taxi had to stop in front of Cielo Sky Bar and we walked our bags the few yards to the hotel. Stylish but cheap fixtures need to be replaced more often. Cute cafe and lobby. Window latches did not work. Very attractive designer rooms. Good location for families, away from red-light districts. Neighborhood emphasizes arts. Generally, residential with mix of ex-pats and Thais balancing tourists. Property clean & well maintained. Adjacent to W Market which opens for dinner and offers a broad range of food stalls. Near BTS skytrain for transport downtown. Soft spots were water was not very hot, and food was mediocre.